Born and reared in northern New Jersey, Jack left home as a young adult and headed west to explore a deeper understanding of himself and life. After an extensive road trip through the western states and a brief stint on a cattle ranch in the Bitterroot Valley of Montana, he moved to southern California to pursue a career in the music industry. Once in California, Jack began his creative career as an award-winning songwriter, accruing motion picture song credits, a CD of highly regarded original material entitled Anything Like This, and an Associates of Arts degree in music from Long Beach City College. 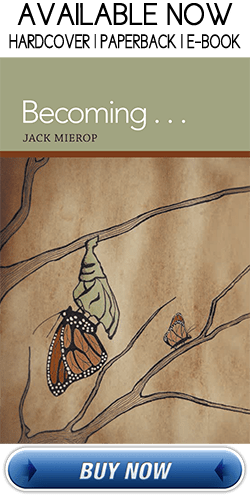 Before long, Jack’s artistic endeavors led him to the realization that he is, first and foremost, a “people-person” with an abiding interest in the importance inter-personal communication plays in helping individuals achieve emotional and psychological maturity. With the encouragement of college professors, Jack adjusted his focus to the social sciences and earned a Bachelor of Arts and Masters Degrees with high honors in Speech Communication from California State University, Fullerton. For nearly two decades, Jack has continued to teach his specialty of Interpersonal Communication, along with a variety of other Communication Studies courses, at the university and community college levels. As an educator, he has won awards for excellence, emphasizing communication education in training seminars, classrooms, and small groups. Numerous comments from inspired students, attendees, and colleagues who voiced appreciation for the personal impact his teaching has had on their lives, led Jack to found Jack Up Your Life to reach a broader audience with his message of personal understanding and peace. Offered in hardcover, paperback and ebook at Friesenpress.com/bookstore, Amazon, Barnes and Noble, for order from over 35,000 book retailers worldwide and electronically for Kindle, Nook, iTunes, Google and Kobo.